Table with laptop, plant, pen, notepads, and a sign reading “Finance: Funding, Saving, Benefit.” Image by Rawpixel, via Unsplash.com. Learning a new skill takes time and effort, but it pays off in the end. This is especially true of mastering finance. In order to master a skill, any skill, it takes about 10,000 hours of practice. The problem lies in the fact that this is so much time that a lot of people find the end reward not to be worth this kind of effort. Well, this is definitely not the case when it comes to the art of finance. Why? Well, because this is a field that affects virtually anything that you do in life. Even for the most materialistic person out there, money changes a lot of things. The amount of leisure in life, future plans and even hobbies that you can engage in. In other words, no matter the cost, no matter the toll, this is an art worth mastering. With that in mind, here are some tips that will help you master the art of finance. For starters, you need to do your share of research. Square one is setting and defining your financial goals while your next step needs to be finding credible resources from which to do so. Online you can find all sorts of tips but when it comes to reliability, they don’t have that much to offer. On the other hand, learning materials from prestigious colleges or even RTO learning materials can be quite handy. Specialized podcasts and blogs can also be a great resource but you have to be 100 percent sure that the person behind them is a figure of authority in the field of finance. Another thing you need to understand is the fact that time is money. All of your bills have to be paid on time in order to avoid expensive fees and penalties. Also, if the due date falls on the same day each month, you can plan and schedule your payments. The best thing about pulling this off in the 21st century is the fact that you can find a platform that will allow you to completely automate this process. In a way, this will give you an opportunity to focus on other aspects of your finance, which will further increase your efficiency. 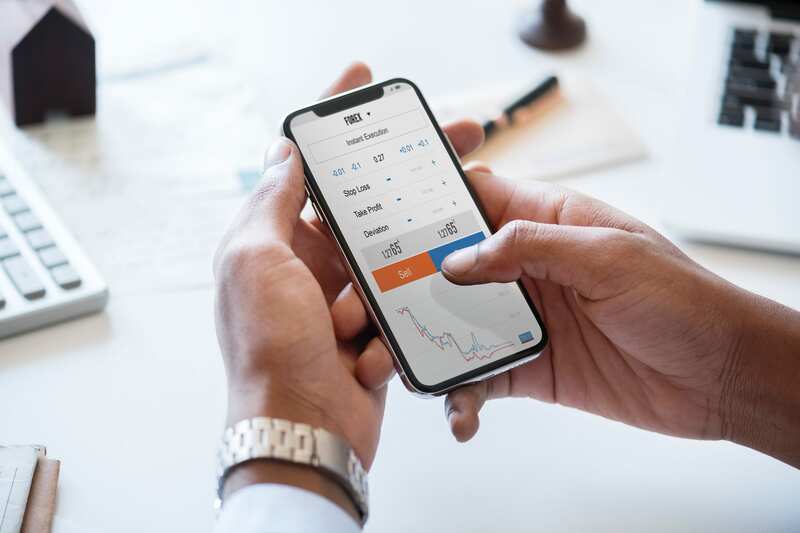 Man looking at financial information on smartphone; image by Rawpixel, via Unsplash.com. and a chunk of it in commodities like precious metals or diamonds. In each of these fields, it’s important that you have a reliable broker and that you’re knowledgeable enough on the topic. Then again, there’s no reason why you should do all of this on your own when you can just as easily hire a professional accountant or a financial advisor. Look at it this way, by outsourcing your accounting, what you get to do is put this burden onto someone else. This is also a great idea efficiency-wise, seeing as how the person handling your finances will be a trained professional, more familiar with rules of the financial world than you ever were. The problem is finding the right person for the job. This is why knowing the fundamentals may be incredibly important. Living in too great a level of austerity isn’t a good idea in the long run. Sure, if you’re preparing for retirement and plan to help out your family once you get there, you need to save every penny; however, amassing wealth with no goal whatsoever is not a sustainable idea. You need to pause for a moment and remind yourself what this is all about. Every now and then, try to find a guilt-free way to treat yourself with something. The easiest way to achieve this is to set a fund (a fixed amount) and set a date on which you’re about to treat yourself with something in this amount. As you can see, these five tips are far from complex. In fact, most of this you’ve probably known already, yet, even if this is the case, it doesn’t hurt to be reminded of it every once in a while. Of course, we’re not suggesting that these five tips will be enough to help you handle every single aspect of your financial life but they can put you on the right track to assume more control over your finances. You would be surprised at just how many things will become easier this way. Lucas is a business consultant with a passion for writing. Doing his research, exploring, and writing are his favorite things to do. He works as a consultant for Australian Pink Diamond in Sydney. Besides that, he loves playing his guitar, hiking, and traveling.